Graphic novels are an increasingly popular format for stories told in a range of genres. While learning to read graphic novels takes practice, their artistic and literary merit makes the effort more than worthwhile. In this month's episode of ReadWriteThink.org's Text Message podcast, host Jennifer Buehler offers An Introduction to Graphic Novels (M-S). Tune in to hear an introduction to the graphic novel form, including discussion of key works such as Maus and American Born Chinese. Then listen for specific recommendations of nine graphic novels, including fantasy epics, memoirs, biographies, and adventure thriller stories. 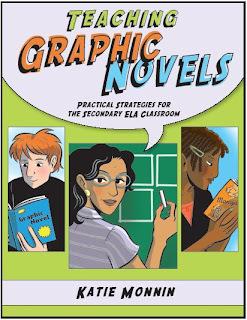 Interested in finding out more about graphic novels and their potential for enriching your students' literacy learning? These resources from NCTE and ReadWriteThink.org provide a place to start. This article from the NCTE Council Chronicle offers an overview of the comic and graphic novel forms and suggests a wide range of applications in the classroom. In this Language Arts article, in what is one of the first-ever journal articles in graphic novel format, educator and author of American Born Chinese Gene Yang makes a case for using graphic novels in classrooms. The combination of the image and text (and relative brevity) of comic strips and comic books make them an excellent source of teaching material, as they explore language and meaning in a creative way. In this ReadWriteThink.org lesson, students will be examining the genre and subgenres of comics, their uses, and purposes. This ReadWriteThink.org lesson offers a new way to think about and respond to a work of literature. By creating comic strips or cartoon squares featuring characters in books, students are encouraged to think analytically about a work they've explored in ways that expand their critical thinking by focusing on the significant points of the book in a few short scenes. This article from English Journal offers a rationale, based on the need for current students to learn multiple literacies, for the use of graphic novels in the high school English class. 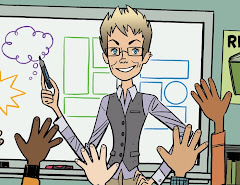 The author highlights several titles, suggests possible classroom strategies, and discusses some of the obstacles teachers may face in adding graphic novels to their curriculum. To prepare students for reading the graphic novel Persepolis, this ReadWriteThink.org lesson uses a WebQuest to focus students' research efforts on finding reliable information about Iran before and during the Islamic Revolution. In groups, students research and then present information on aspects of Iran such as politics, religion, and culture. 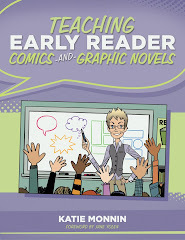 Each chapter of this book presents practical suggestions for the classroom as it pairs a graphic novel with a more traditional text or examines connections between multiple sources. The sample chapter includes teaching suggestions for pairing Spider-Man comics with Freak the Mighty and comments on teaching Maus I and Maus II. Presenters in this on-demand archived Web seminar describe how they use the graphic novel to get their students writing authentic, personal, and creative texts. Participants learn about excellent practical and classroom-tested ideas for using the graphic novel format to get students writing in new and exciting ways. Including discussion of Art Speigelman's Maus, this College English article describes the issues raised in a course on the Shoah that aimed to incorporate familial, historical, and rhetorical perspectives. The author is led to wonder whether the stories of those who underwent such experiences stand utterly outside critique and appropriation and may demand of us instead only that we never forget. 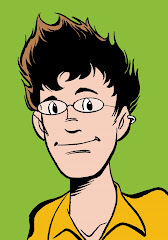 is a community-wide two year project designed to introduce teens, parents, librarians and teachers to the exciting and extremely popular literary format of graphic novels. All sorts of fun and informative events will be held throughout Western New York including noted graphic novel author visits and graphic novel design workshops. Teens will be inspired to write their own stories in the graphic novel format and their pages will be included in a book to be published in 2009. Truly a community project, partners include the Buffalo & Erie County Public Library, the Nioga Library System, UB Libraries, UB Department of Library and Information Studies, the Albright-Knox Art Gallery, The Buffalo News Next Magazine, Erie I Boces School Library System, Hein Publishing, Buffalo Public Schools Library System and WBFO radio. In addition to events, graphic novel lists, and other tips for parents, teachers, and librarians, Get Graphic also offers free graphic novel kits for Buffalo/Erie classrooms with 30 copies of the graphic novel, a video, and support materials. Kits can be checked out for six weeks at a time and returned to the Buffalo and Erie County Public Libraries. Click here to reserve a kit.